Every Time You’re Near takes FIRST PLACE! My first RWA convention was nothing short of amazing. 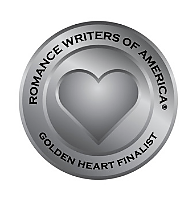 My editor Sue Brown-Moore, my friend Cheryl P Rider, Janna MacGregor, Liana De La Rosa, Christine Thuau, Christina Britton, Christy Hovland, Minerva Spencer, Lea Kirk, CR Grissom, Dylann Crush, Priscilla Oliveras and so many more made every moment a dream. Sign up with your email address to receive news and updates on Shannon’s books and future launch dates.